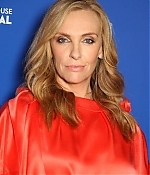 The Los Angeles Times has published a terrific article and interview with Toni Collette today. An excerpt can be read below and the full article is available on their website. 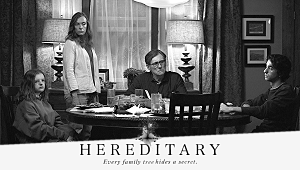 Toni Collette wasn’t looking for darkness when “Hereditary” came calling. But when the darkness found her – in the form of the unnerving saga of the Grahams, an American family haunted by tragedy, mental illness, and perhaps something supernatural – the opportunity was too delicious to pass up. 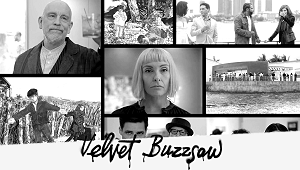 “I wasn’t interested in doing anything heavy, but I picked up the script and I couldn’t stop reading it,” the Australian native explained one May morning, slipping into the same busy Westside eatery where, just over a year ago, writer-director Ari Aster convinced her to take the plunge and play a woman who begins to unlock cryptic family secrets after the death of her own estranged mother. 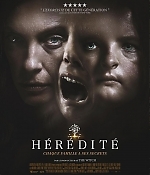 The result, a claustrophobic chiller that distributor A24 releases June 8, features one of the most dynamic and memorable performances of Collette’s career, in what critics are calling the scariest film in years. Collette’s Annie Graham is many things. A miniatures artist who fills her home studio with dioramas of her own life, she recreates memories as a means of reclaiming control. A mother of two with a strained relationship with her own mom, she is overprotective of one of her children, and coldly resentful of the other. And when the unthinkable strikes, she struggles to cope with a sense of powerlessness that gives way to relentless dread as Aster spins his crumbling, nightmarish narrative. 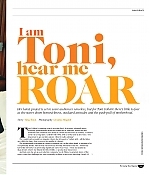 Toni Collette graces the cover of Sunday’s Stellar Magazine in Australia. Subscribers to their site can read it online. 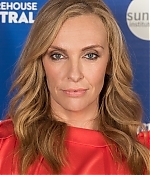 Here’s a snippet from the Daily Mail: Toni Collette has revealed how she has balanced motherhood with her Hollywood acting career. The 45-year-old described juggling both acting and family life as ‘maddening’ at times, during her interview with Stellar. ‘But it’s worth it in the end because, as I say, both areas of my life are really, really important to me,’ she said. More bits can be read here. 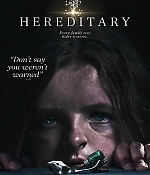 Also, Britain’s Empire Magazine has a great Summer Movie guide with a great review on “Hereditary” and a special on past and recent horror classics. Edit: I’ve added scans from both Stellar Magazine and the Australian Sunday Times to the photo gallery, both run the same article but with different pictures. 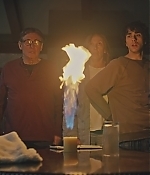 A bunch of scary new production stills and international posters for “Hereditary” have been added to the photo gallery.